Newtown’s long-serving head coach Greg Matterson has never been one to make unsubstantiated claims, but he is of the view that the Newtown Jets are in a better place now than they were at this same stage in the past two seasons. There is plenty of competition for places as the Jets approach their first trial match for 2015 on Saturday, 7th February. Newtown’s new NSW Cup partnership club the Cronulla-Sutherland Sharks have bought well and have a full-time squad of more than 30 players – many of the Sharks who will be vying for places in Newtown’s NSW Cup team in the opening competition round will be players with extensive NRL experience. Andrew Pearn, Ray Moujalli, Kurt Kara, Josh Davis, Matt Evans, Jordan Galloway, Jack Noble and Jake Watts. Ahmad Ellaz (from 2012) is back training with Newtown after stints at the Lithgow Workmen’s and Wentworthville clubs in the past two seasons. Saulala Houma has signed a full-time contract with the Cronulla-Sutherland club. Tim Robinson: front-rower, second-rower; 105 kgs, 26 years old, ex-Manly-Warringah and Cronulla-Sutherland, selected in the NSW Cup 2014 Team of the Year. The mail is that big Tim has been training the house down. Nesiasi Mataitonga: winger and centre, ex-Cronulla-Sutherland NYC and NSW Cup and London Broncos (UK Super League), member of the Tongan 2013 World Cup squad. Daniel Abou-Sleiman: fullback, winger, centre; ex-Canterbury-Bankstown NYC and NSW Cup, Japanese Rugby, Wests Tigers. Patrice Siolo: second-rower; ex-Cronulla-Sutherland NYC and made his NRL debut in 2014. Leonardi Feiloakitau-Fetuani: back-rower; ex-Manly-Warringah NYC. Blake Judd: backrower; ex-Souths Juniors junior rep teams, Group 6, North Sydney NSW Cup. Mitch Mammary: front-rower; ex-Sydney Roosters NYC ; represented Lebanon in the international match against Fiji at Remondis Stadium in October 2014. Malakai Houma: front-rower; younger brother of Saulala Houma; ex-Mt Albert (Fox Memorial Shield competition, Auckland). 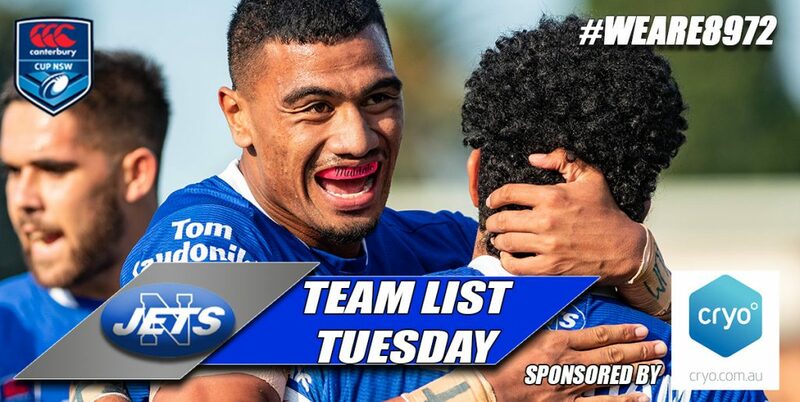 Has shown up well in the 2014 Fox Memorial Shield games currently being shown on NITV on Tuesday nights. Winstone Asotasi: front-rower; ex-Canterbury-Bankstown junior rep teams, ex-Cronulla-Sutherland NYC; younger brother of Roy Asotasi. Kurt Dillon: backrower; ex-Cronulla-Sutherland NYC. Corey Brown: winger, centre; ex-Wests Tigers NSW Cup, ex-Northern Suburbs Shute Shield Rugby; rated highly as a sprinter by renowned sprint coach Roger Fabri, who says Brown is one of the fastest men in both codes of Rugby. Tarek El Masri: fullback, winger; ex-North Sydney NSW Cup. 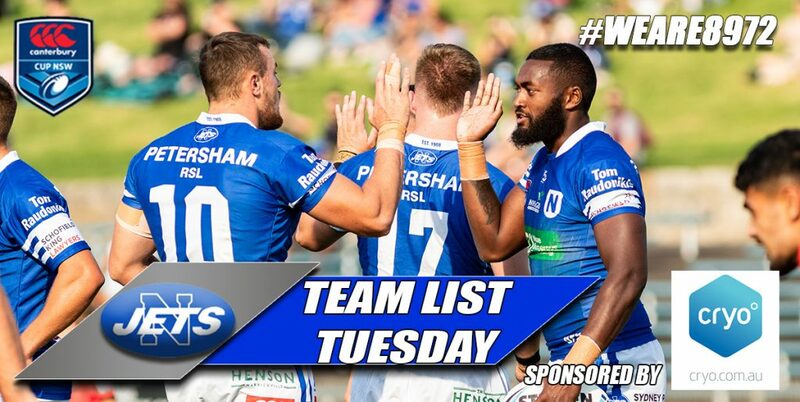 In addition Cronulla-Sutherland currently has 33 players training in their full-time 2015 NRL pre-season squad. Players not selected in Cronulla-Sutherland NRL trial matches and in Round One of the 2015 NRL premiership competition will of course be available for selection in the Newtown Jets NSW Cup squad. Off-Season Departures: Ryan Verlinden (Featherstone Rovers), Brett Lane (released), Chris Taripo (released), David Harris (released), Bobbie Goulding (Redcliffe), Brad Barrett (retired), Arana Taumata (Captain-coach of Tumut in Group 9), Junior Vaivai (Illawarra), Brad Croad (released). The following Sydney Roosters contracted players who played with the Newtown RLFC in 2014 are still contracted to the Roosters in 2015: Sio Siua Taukeiaho, Samisoni Langi, Jack Siejka, Kane Evans, Willis Meehan, Nathan Stapleton and Jackson Hastings, whilst Rhys Martin and Jonathon Reuben (Townsville Black Hawks in the Queensland Cup), Remi Casty and Scott Dureau (Catalan Dragons), and Heath L’Estrange (St George-Illawarra) have transferred from the Roosters since the end of the 2014 season. 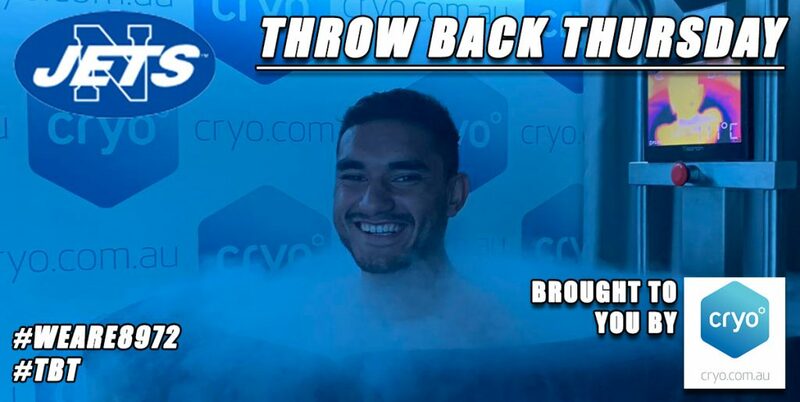 Daniel Mortimer (Gold Coast Titans) and Tautau Moga (Nth Qld Cowboys) had transferred from the Roosters prior to the 30th June 2014. Saturday, 7th February: Newtown Jets v Illawarra Cutters at Henson Park. Kick-off at 4.00pm. Saturday, 14th February: Newtown Jets v North Sydney Bears at Henson Park. Kick-off at 6.00pm. Saturday, 21st February: Newtown Jets v Wests Tigers (part of a three grades trials program between Cronulla-Sutherland and Wests Tigers at Campbelltown Stadium.) Kick-off time to be confirmed. Get ready for the Newtown Jets Rally Day on Saturday, 28th February at the Vic Hotel, Enmore from 2.00pm to 5.00pm. More details about the cavalcade of entertainment that will be available on that day will be announced soon. This is a terrific opportunity for Newtown Jets members and supporters and especially our army of young fans to meet the 2015 Newtown Jets players and coaching staff and to have a fun-filled afternoon as well. 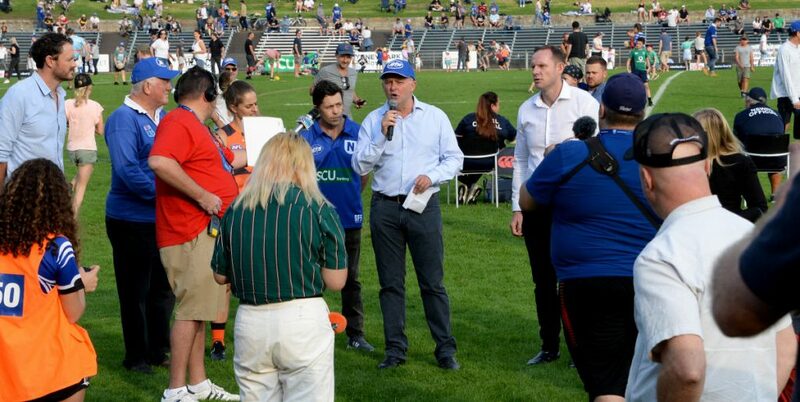 Saturday, 7th March: Newtown Jets v Wests Tigers at Henson Park. Kick-off at 3.00pm. 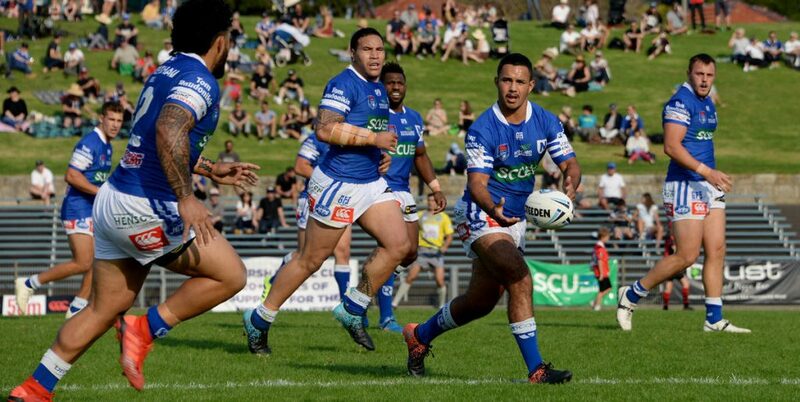 Deicorp has renewed their sponsorship for the next three years , and the company is looking to strengthen their partnership with the Newtown Jets through other sponsorship opportunities. The Newtown RLFC has recently made a most impressive and progressive appointment: Toni Newell has become the first woman to join the Newtown RLFC Board, and no doubt all Jets members and fans will join with us in welcoming Toni on to the Board and wish her every success. Toni brings with her extensive senior business management experience and educational qualifications. 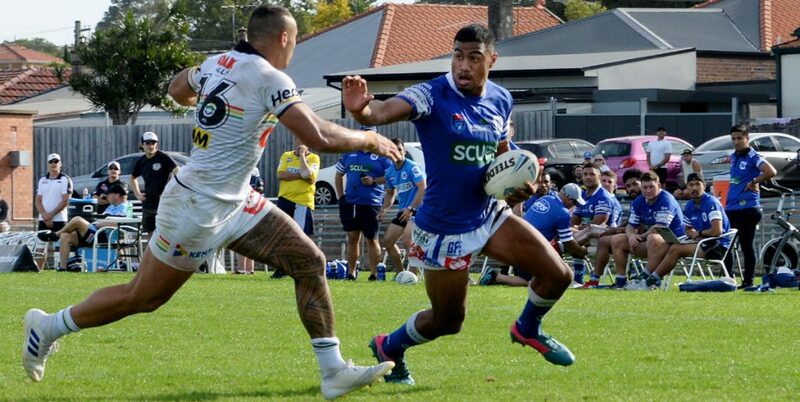 “The Newtown Jets revisited their distant past when they staged a pre-season selection trial at Mahoney Reserve in South Marrickville on Thursday evening, 18th December. Mahoney Reserve was a Newtown Bluebags pre-season training venue in the 1940’s and 1950’s, and John Lynch recalls junior representative training and trial games being held there in the 1960’s and early 1970’s. The Newtown pre-season squad has been using Mahoney Reserve for their field-work sessions before returning to Henson Park in the New Year. This match was played as a means of enabling Greg Matterson and his coaching staff to trim down the pre-season training squad prior to resuming training on Tuesday, 6th January. This selection trial was played over two twenty-minute sessions and the NSWRL supplied the referee. The two squads were: Lavender; Iles; Matt Evans; Judd; Eddie El Zabedieh; Saffy; Jake Watts; Vunipolou; Jordan Galloway; Dillon; Tori Tuiletufuga; Brad Croad; Winstone Asotasi. Ingram; Manning; Holmes; Leonardi Feiloakitau-Fetuani; Grey; Saxon Fischer-Gray; Russell; Mammary; Jake Jackson; Ray Moujalli; Malakai Houma; El Masri; Corbett. Bench: Ahmad Ellaz; David Harris; Jack Noble; Pohahau. Did not play: Andrew Pearn, Josh Davis, Kurt Kara. Jets head coach Greg Matterson rated the trial a worthwhile exercise and it enabled him and his staff to see the triallists playing under match conditions in what were oppressive conditions. He had some hard decisions to make with a view to reducing the squad numbers after six weeks training. When the players reconvene on the 6th January the first trial match against Illawarra Cutters will only be four weeks away. Saulala Houma’s younger brother, the Mt Albert (NZ) forward Malakai Houma, was rated as the stand-out performer of this trial match. He ran good angles and showed he has off-loading skills. Malakai has featured in a couple of the Fox Memorial Shield (Auckland Rugby League) 2014 season matches currently being shown on NITV on Tuesday nights at 10.00pm. Our good friends at the Parkes Leagues Club were kept busy during the recent annual Elvis Festival. More than 20,000 people packed out the central-western NSW town in what was described as the most successful Elvis Festival in its 21-year history. There were plenty of Newtown Jets identities spotted at the Parkes Leagues Club and on the Elvis XPT Express that carried 400 passengers from Central Station to Parkes and back again.